There’s usually some fanfare when a book gets sold to a film producer, but less so when an author puts on a play. Agatha Christie holds the record here with the Mouse Trap, now in its 64th year, but a couple of crime authors have recently been getting in on the act. 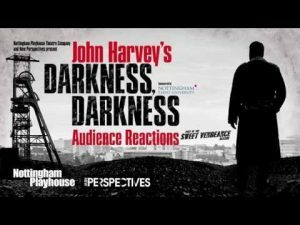 A Perfect Murder by Peter James has just completed its third nationwide tour and coming up this September, John Harvey’s Darkness, Darkness at the Nottingham Playhouse. John Harvey is one of the giants of crime writing with dozens of books to his name. Darkness, Darkness is significant as it’s DI Charlie Resnick’s 12th and last case and in the story, he has to come out of semi-retirement to investigate, so there’s no going back. If you own a Kindle, you won’t be a stranger to X-ray; it’s the handy feature that allows you to look up a character to remind you where they fit into the plot. But why do some books have it and others do not? 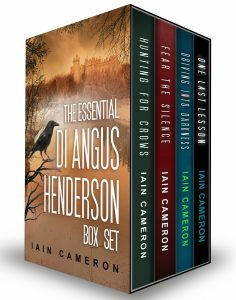 In my case, three of my books have it, but Fear the Silence doesn’t. I wrote to Amazon thinking I had to ask them to do it, but the truth is more mundane. I quote – ‘X-ray feature is added based on the number of readers reading a book each day.’ The key word here is ‘reading’. Amazon picks up the LRP, the Last Read Page, when your Kindle is receiving a wireless signal and calculates how often a book is read. Now you know. This piece of business news was probably only of interest to employees of ARM, a Cambridge maker of microchips, and their shareholders as they both should do handsomely out of the deal. 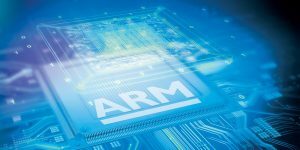 But did you know that Markham Microprocessors, the company featured in my second book, Driving into Darkness, is loosely based on ARM? The backstory of Markham, as it appears in the book: ‘in this monastic atmosphere they produced a brilliant piece of computer code, frugal in its use of computer memory and power but devastatingly effective in the way it executed commands’ is just how ARM started. The architecture that the two brilliant (real) programmers developed, is still incorporated into chips that power most of the smartphones and tablets available today. If you downloaded a free copy of One Last Lesson you’ll be familiar with Book Funnel. It’s a book service used by hundreds of authors, so if you had any problems downloading mine, your experience will be put to good use when you come to download a book by another author. The easiest way to do this is via wi-fi, if your Kindle or e-reader is so equipped. If not, or you prefer to read on your computer or tablet, Book Funnel can send the book to you via email. If you don’t have a computer and only use a tablet, have it emailed to you. When you receive the email, tap the attachment and your device will ask you which application you want to use. If you use the Kindle app or iBooks app, tap on the relevant one and the book will copied over. If you experience any problems, feel free to email me. P.S. If you have read any of my books, please leave a review on Amazon. I’m always interested to hear your views and it helps we authors to get noticed. Is James Patterson Really an Author?